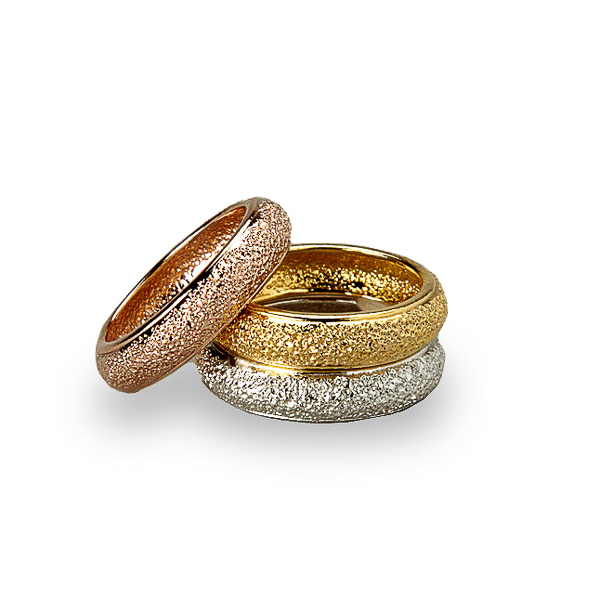 Description: Three color stack ring set with diamond bead texture can wear together or individually. These girls will not stay in the jewelry box for too long as they will surley fit in with various attires day in and day out. 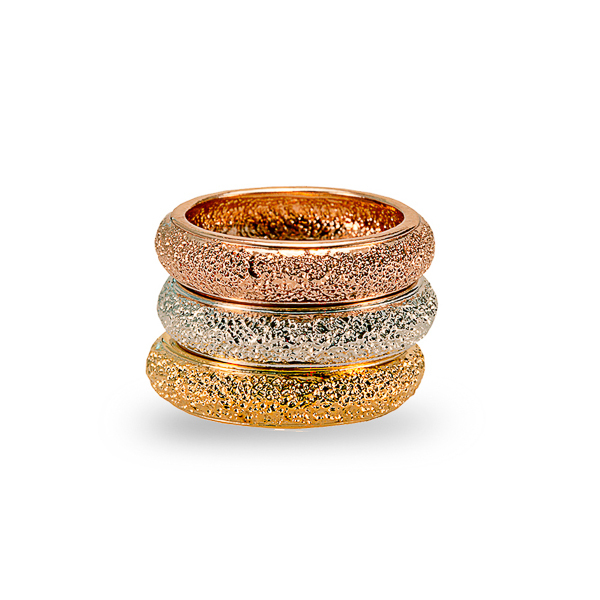 Material and Measurements: 14K Gold Plated, Rose Gold Plated, and Rhodium Plated Base Metal - Stack Length 3/4"
Enter Quantity for R-AE015 to add to your shopping cart.